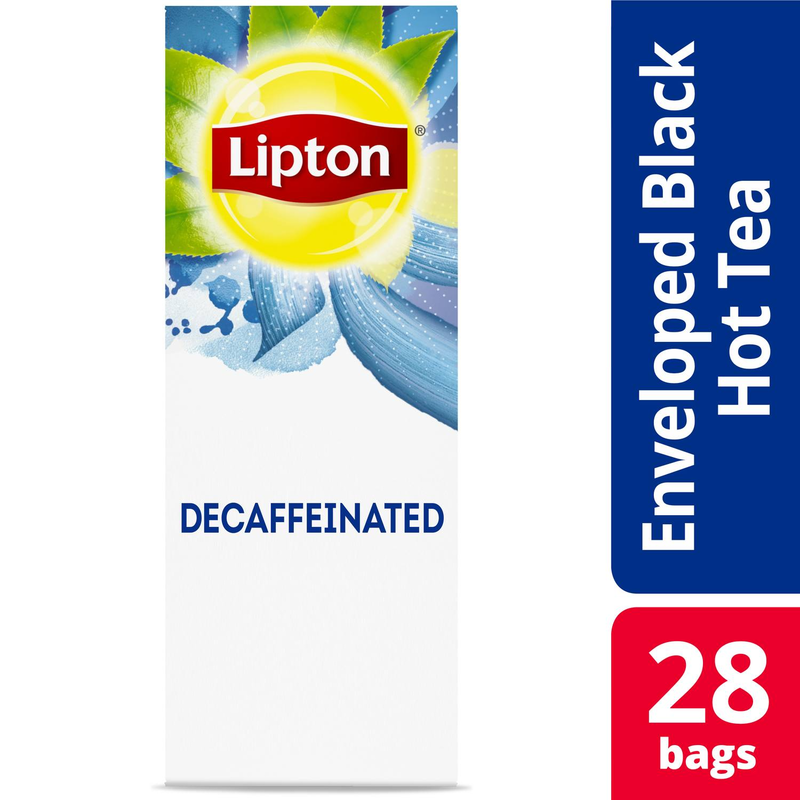 Help keep your employees happy and motivated with Lipton Enveloped Decaffeinated Black Tea Hot Tea Bags. Made exclusively with orange pekoe and pekoe cut black tea leaves grown on 100 percent Rainforest Alliance Certified estates around the world, this decaf black tea delivers a wonderful smooth taste to help your employees relax and stay centered while working. These hot tea bags offer an ideal means of keeping employees satisfied and stimulating meaningful connections in the workplace. And thanks to their easy-to-steep design, they allow your colleagues to brew a cup of tea whenever they want. Lipton teas cater perfectly to your employees’ moods and preferences--even as they change throughout the day. Select from a broad offering of delicious office teas to help foster a happier and healthier work environment. Decaffeinated, pure black tea flavor and Aroma. Tea is one of the most widely consumed beverages in the world. It is soothing, relaxing, refreshing, thirst quenching, invigorating and healthy. Brewed tea contains no fat, salt or carbonation. Feel good choosing a tea from a company that is committed to maintaining the goodness of tea.